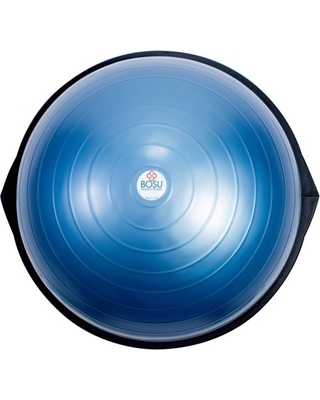 This is the HOME version of the BOSU that I use ONSITE with my clients. 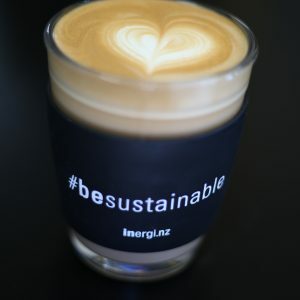 The only difference, it is not commercial quality and lets face it, it doesn’t need to be and, it means for a better price point. 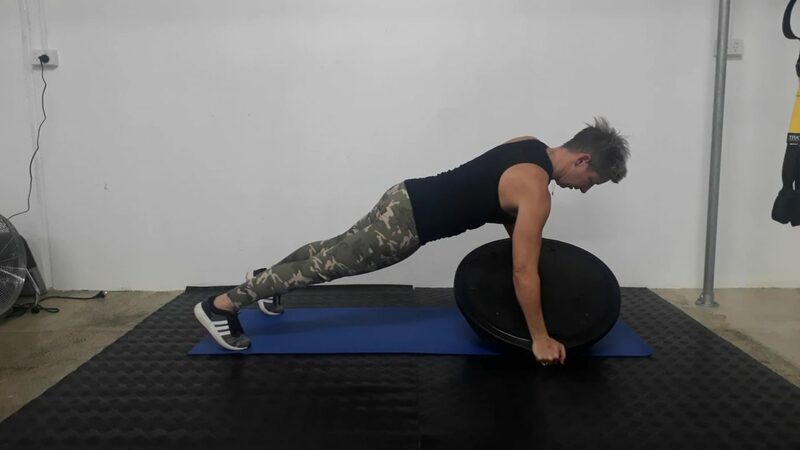 The BOSU is another CLEVER product. 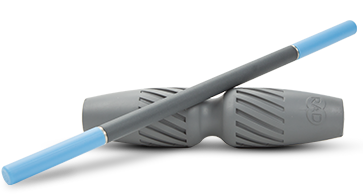 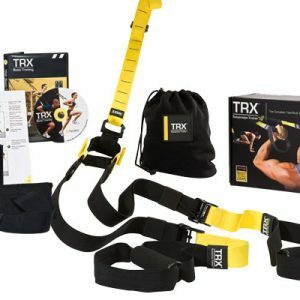 I truly LOVE this product. 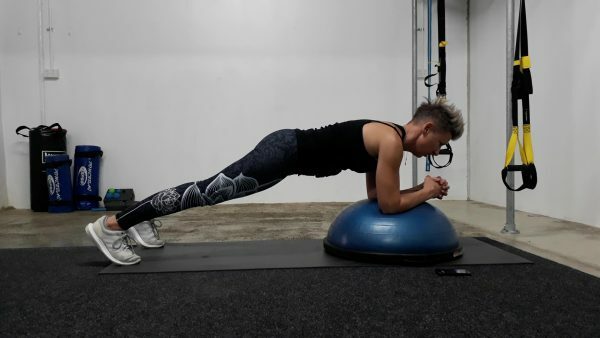 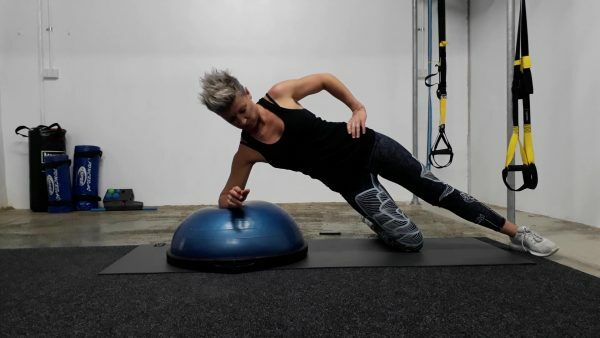 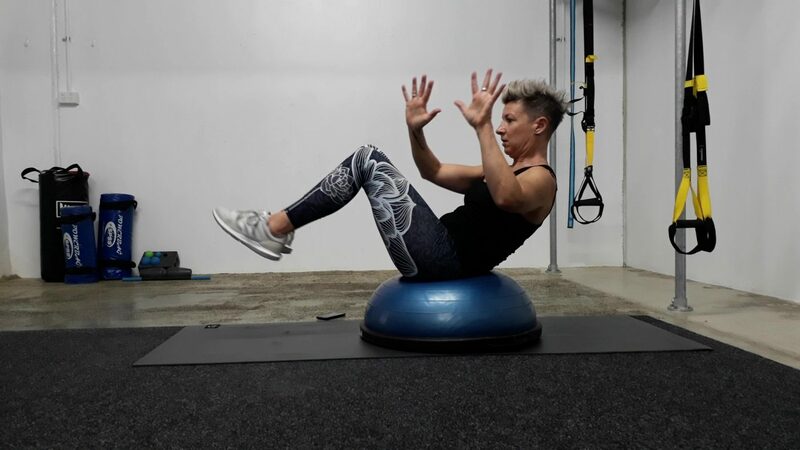 I love the reassured confidence it gives you whilst engaging in really effective and challenging core and stability exercises. 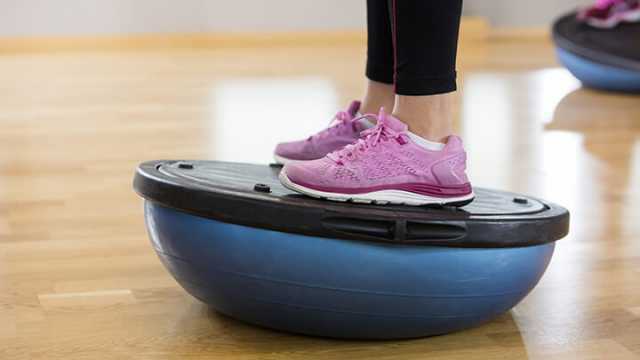 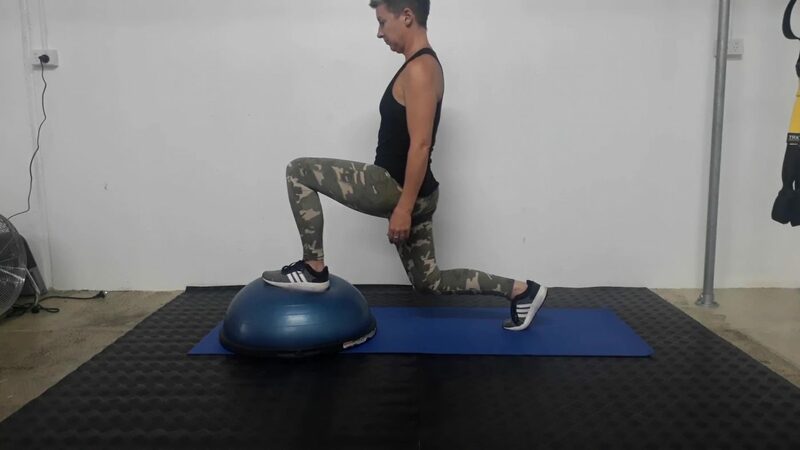 The BOSU® Home Balance Trainer can be used for or with: Sports Conditioning (both aerobic and anaerobic), stabilisation, agility training, strength, stability, flexibility training for the trunk and strength for the entire body. 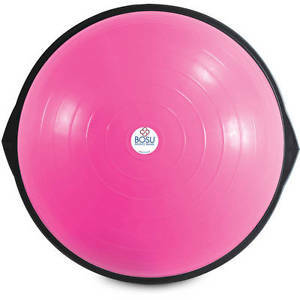 Unleash your best with The BOSU® Home Balance Trainer. 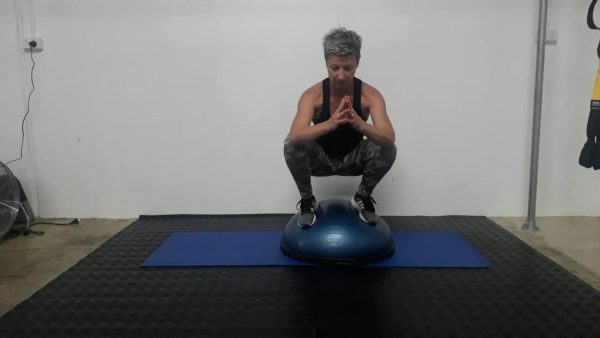 The name initially came from an acronym standing for “BOth Sides Up”– a reference to the two ways a BOSU ball can be positioned.